"Neurofeedback (EEG biofeedback) holds potential for retaining brainwave activity to enhance optimal performance in athletes in various sports. Neurofeedback has been shown to have potential for quieting the mind to improve performance in archery. For example, it can also be used to improve concentration and focus, to improve cognitive function and emotional control following concussions and mild head injuries and it has untapped potential to increase physical balance in gymnastics, ice skating, skiing, and other areas of performance. Clinical examples are provided on the use of neurofeedback to improve physical balance and controlled research is called for." 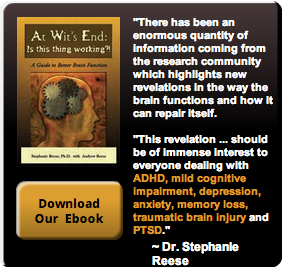 "Research has been done for approxmately 35 years on the use of biofeedback to modify EEG (brainwave) patterns. Initial research focused on relieving anxiety (Hammond,l 2005a; Moore, 2000) and on the treatment of uncontrolled epilespsy (Sterman, 2000), with the latter research including placebo-controlled, blinded studies. Since that time considerable research has been conducted on the use of neurofeedback (EEG biofeedback) in the treatment of ADD/ADHD (Monastra, 2005). and neurofeedback is being applied in treating many other brain-based clinical conditions such as head injuries, depression, stroke, and learning disabilities. Recent research has also documented the potential of neurofeedback in enhancing optimal performance in high level musical performers (Egner & Gruzelier, 2003) and in dance performance (Raymond, Sajid, Parkinson, & Gruzelier, 2005)." Read the entire article from The Journal of the American Board of Sport Psychology. Can Lumosity Cure All Brain Issues? BrainAdvantage. Simple theme. Theme images by friztin. Powered by Blogger.